We love kids and everything concerned with them. That is why we took on without any hesitations the design and development of the high-quality clothes shop for the younger generation. 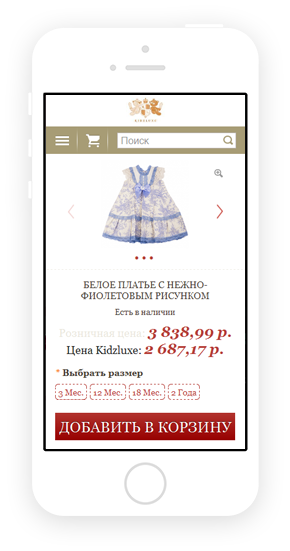 For Kidzluxe brand we created the online-shop from scratch that complies with all the content and functionality requirements for choosing and buying baby stuff. 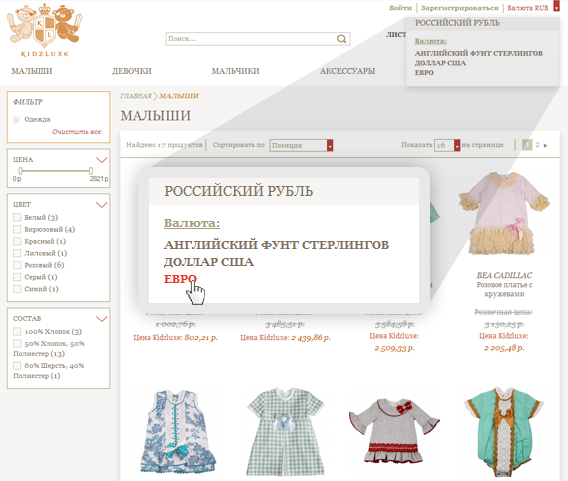 Kidzluxe.com is an English online-shop of brand children clothes oriented on Russian audience. The project features minimalistic design, structured brand catalogues and most importantly the simple and clear sizing table for children clothes based on age, not on size. We introduced the function which enables to choose clothes not by size as usual, but by the age of a child what facilitates the shopping. 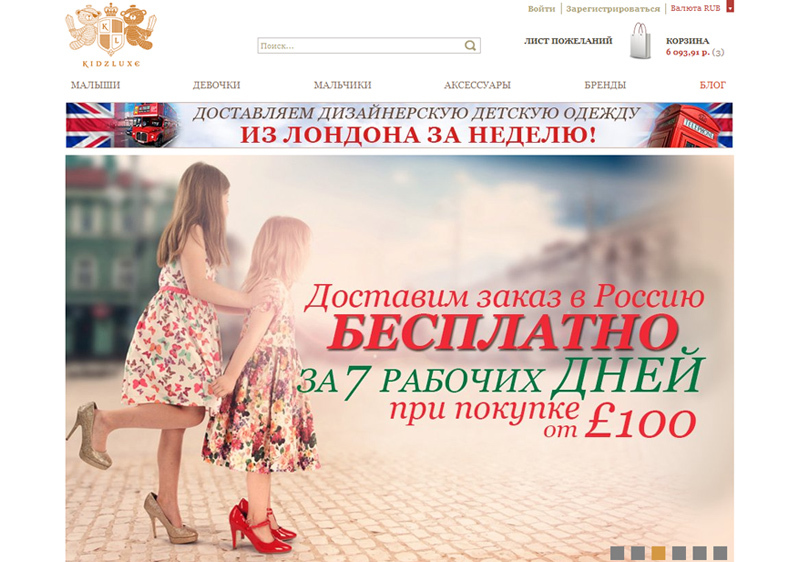 The multicurrency module enables to pay for orders in any currency – Russian rubles, English pounds, American dollars or Euros. 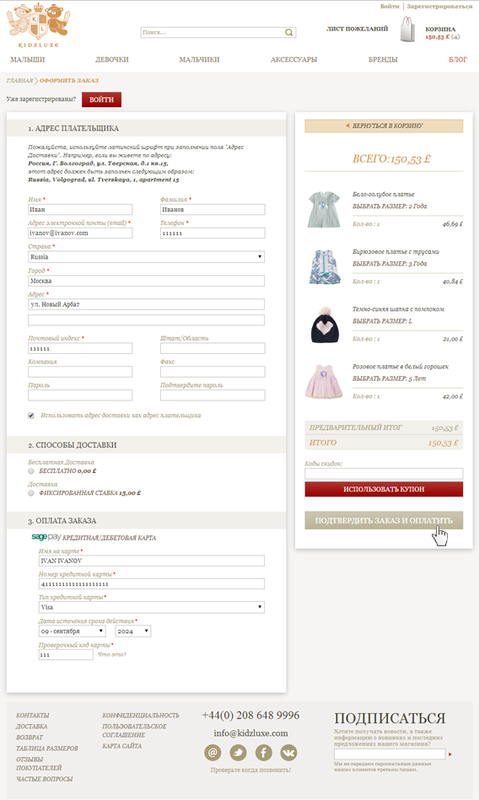 The one page checkout releases buyers from filling in the multi-step forms. 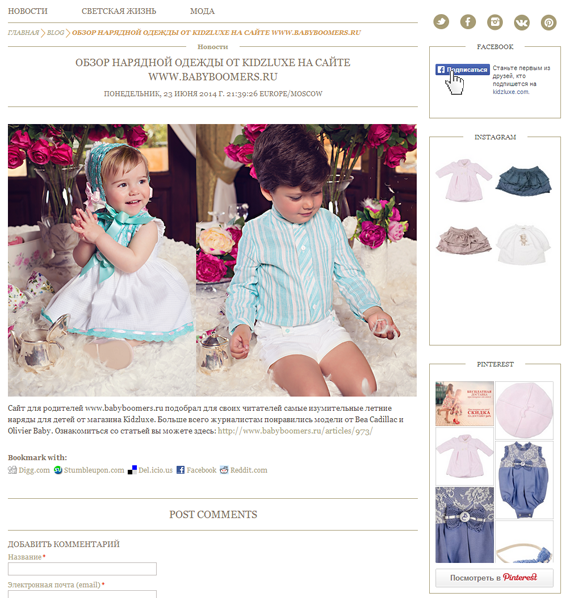 In the blog customers can read hot news on children fashion and actual information on the shop’s life. We are grateful to ASTRIO for the accurate organization of work processes and their professionalism. The Company is very attentive to customer preferences and provides competent consultations on the project design and functionality. 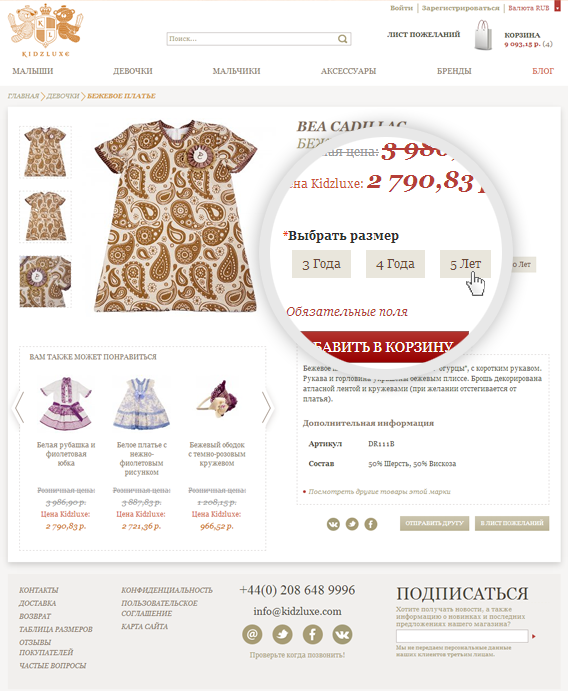 ASTRIO designed a great web-site with trouble-free frontend and backend operation. They additionally designed many administration system’s options of the website upon our request. ASTRIO stand out for their great knowledge of Magento system, reasonable pricing and readiness to solve any technical problems.